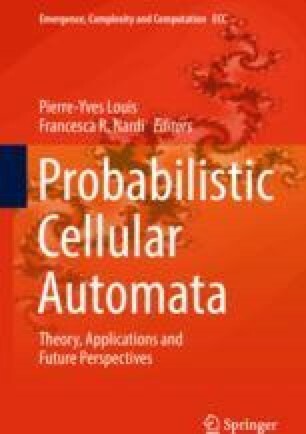 Cellular Potts models (CPMs) are extensions of asynchronous probabilistic cellular automata (PCA) developed specifically to model interacting cell populations. They constitute a modeling framework for the field of cell and tissue biology that is particularly useful when the details of intercellular interaction are essentially determined by the shape and the size of the individual cells as well as the length of the contact area between neighboring cells. In this chapter, the mathematical foundation of CPMs and their relation to PCA as well as to standard Markov chains are reviewed. On the basis of their mathematical properties, the challenges of applying CPMs for studying tissue organization from the cell-based approach are explained. In conclusion, future prospects and necessary developments are discussed from the mathematical and the modeling point of view. The author thanks Andreas Deutsch for discussions and comments.